Where I live is ute central, so it takes a bit to stand out. Generally the first thing you notice on a hotted up vehicle is the mag wheels, so I decided to start there. 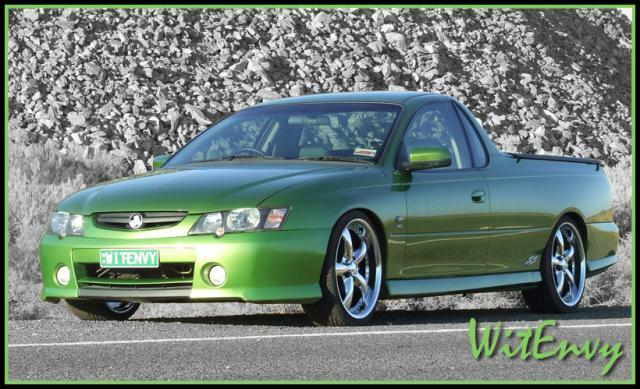 I found some Zenetti Throwbacks on eBay of all places and the seller (Benalla Auto Industries) had the same wheels on his VY SS ute. They looked great, but only coming in 20″ or 22″ sizes I wasn’t sure if I wanted them so big. 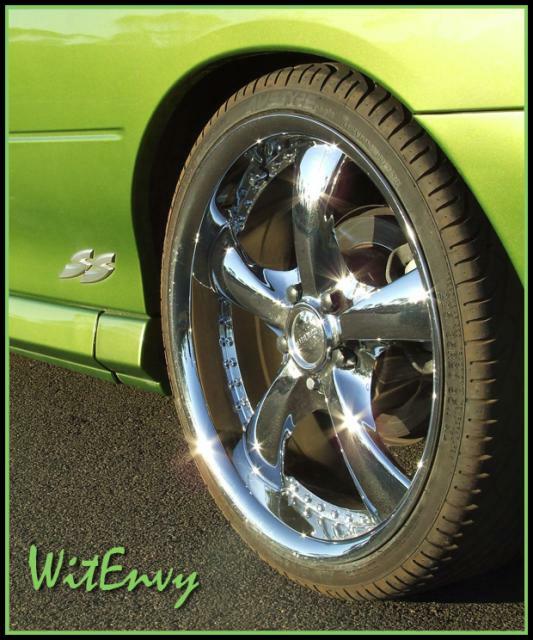 Most people are shocked when they find out the wheels are 20″ as they don’t look massive. In hindsight this pic would’ve looked so much better with tyre black on the tyres. This entry was posted on Monday, January 28th, 2008 at 1:39 pm and is filed under The Ute.You can follow any responses to this entry through the RSS 2.0 feed. You can leave a response, or trackback from your own site.